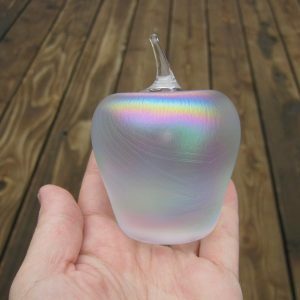 WHAT A NEAT PIECE OF GLASS!! 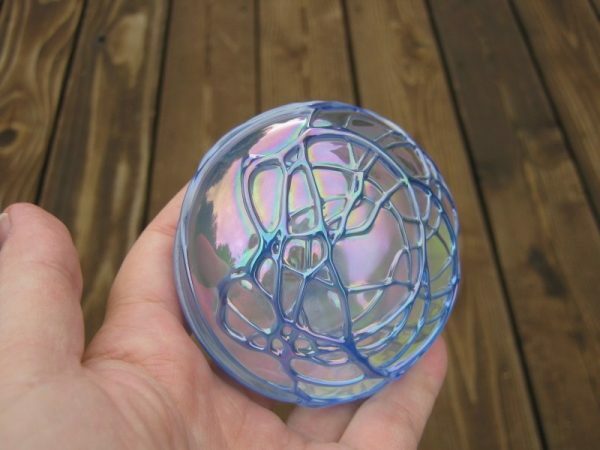 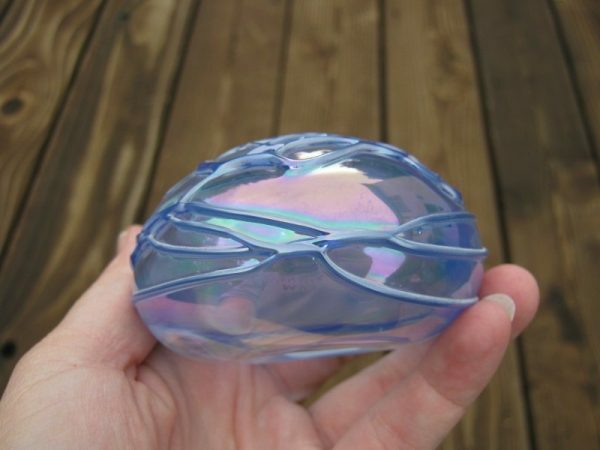 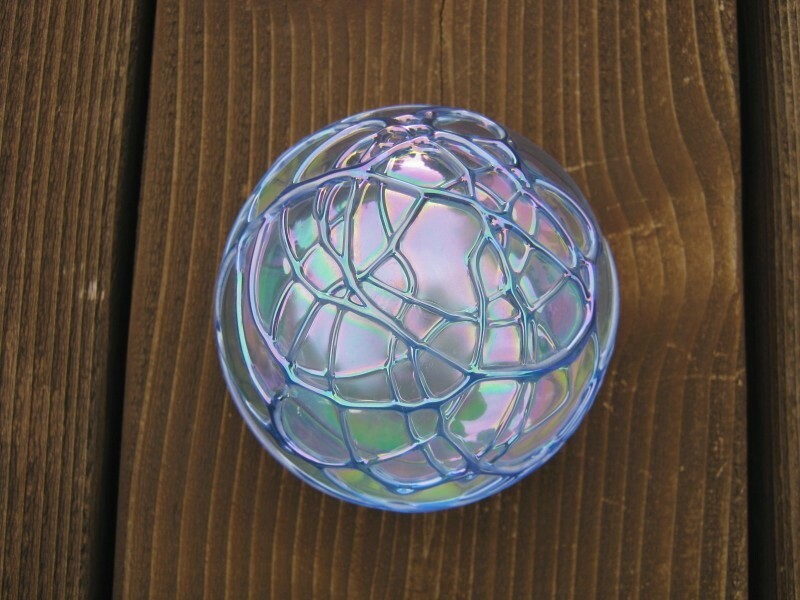 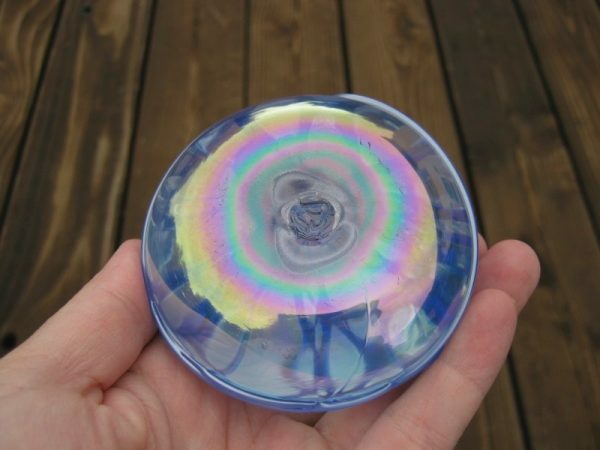 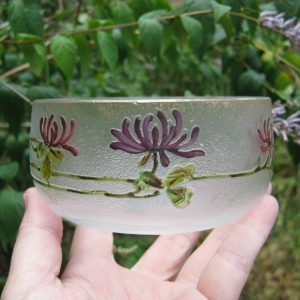 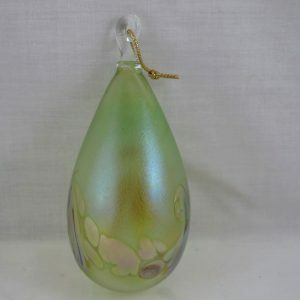 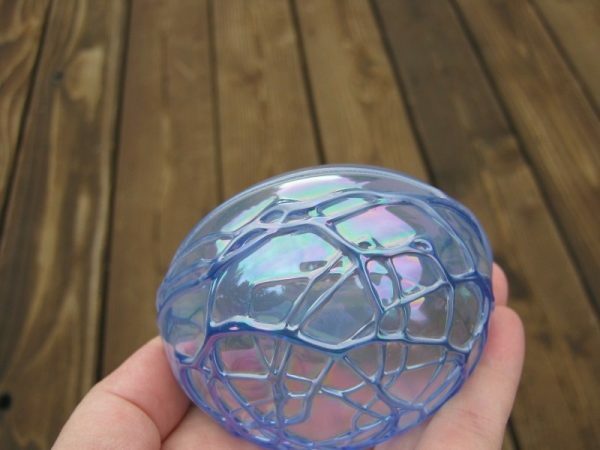 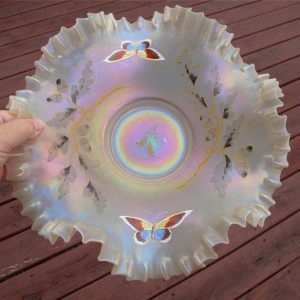 Here is a wonderful iridescent paperweight and it carries the Levay mark on the bottom. 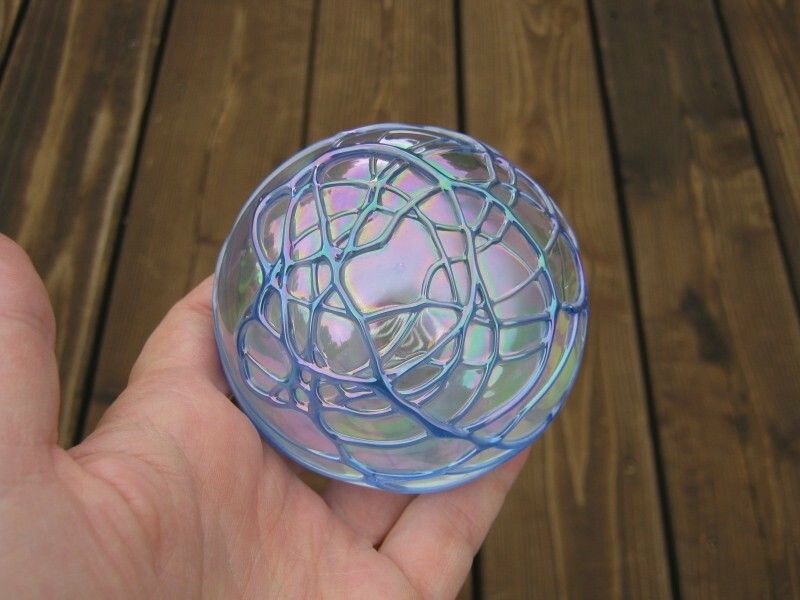 I don’t see a date on it, but I would guess 1980s. The iridescence on this paperweight is strong as you can see and look at the delightfully artistic blue trailings strewn about!! 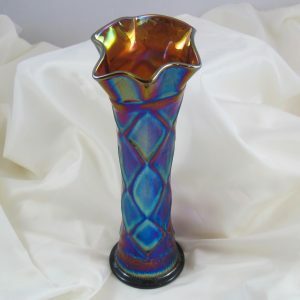 Exquisite and a nice job by the late Gary Levi and his group!